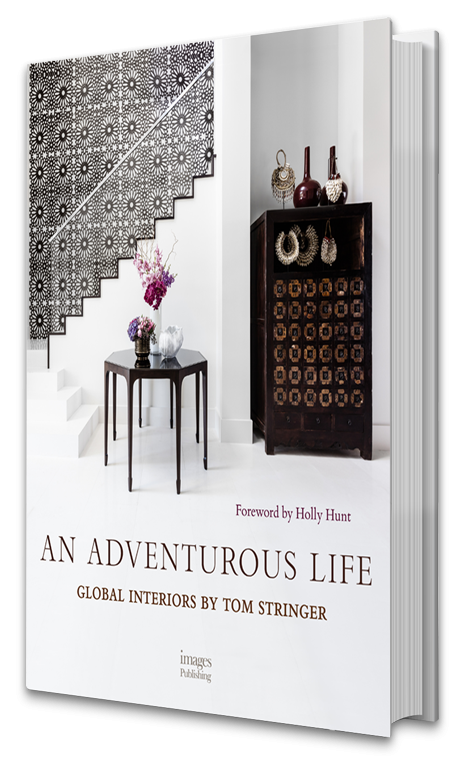 Accented with detailed maps of renowned interior designer Tom Stringer’s extensive travels, this beautifully compiled monograph takes the reader on an immersive journey around the world and back again through the interiors of his eponymous firm’s finest residential projects. Stringer’s design approach is externally inspired and internally driven, largely informed by his great life passion: travel. His love of adventure resonates throughout this book; on each page, one sees how this remarkable designer’s imagination is simultaneously both rooted in the classics and expanded into innovative layers of colors, textures, cultures and function. Revealed through his personal history and influences, Stringer shares how he uses magical discoveries made on his global travels to create the most special living environments that are true to his clients’ own personalities and passions. He describes the design process as a voyage of discovering the distinctive narrative of each client and home, connecting them with a sense of wonder and the communal spirit of their space. Stringer’s unique approach to visual storytelling is encapsulated in the unique interiors of the residential projects highlighted here. © Copyright Tom Stringer Inc.